Most seventh graders believe they live in the most boring town in the world. Ask one. Or maybe they have already offered that information freely. Chances are their middle school qualifies as the nucleus of their ennui. The flat-lined heartbeat of boredom. So people like Carson Fender do things like release fainting goats on the school’s front lawn or seal every door in the school with glue. You know, ennui-free sort of activities. Sometimes, however, the break to boredom comes from an outside influence. That’s what happens to Carson. Just as hundreds of fainting goats are dropping on the front lawn, a panicked man in a black business suit hands Carson a nondescript package. “Take this,” he insists. “Guard it with your life; the fate of the world depends on it. And whatever you do, don’t open it!” He tells Carson to deliver it to Mr. Jensen and Mr. Jensen only. Then he rushes off, chased by two gun-toting guys in painted white faces. They stuff him in a black sedan and take off. After this incredible chain of events, Carson is brought back to reality and sent to the principal’s office on goat-related offenses. So now Carson must not only navigate his school punishment, but must also decide what to do with the package. But really, is there any question for a middle-schooler? He opens it and activates the LCD screen inside. It immediately starts a 48 hour countdown to self-destruction since Carson is “an unauthorized non-Agency user” according the device’s voice. Forty-eight pressure-packed hours to locate Mr. Jensen and deliver the package. Carson suddenly finds himself in a world of secret agents, two of whom are teachers, in a secretive, non-government organization known only as the Agency that works against spies and terrorists. Carson accepts a role with the Agency and is given codename Zero. 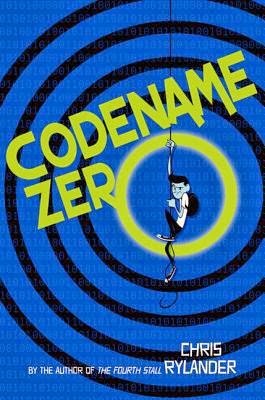 Agent Zero’s role involves classmates, terrorists, other Agents, and the ultimate challenge of keeping everything quiet, all while remaining an unassuming seventh grader.